October 29, 2012 April 22, 2014 / Julie Brook, Esq. When you want to challenge an action or decision by a nonjudicial body, such as a governing board, an administrative agency, or a public official, you need to file a writ in superior court. You have two procedural options for getting this process going: noticed motion and alternative writ. Ultimately, these two procedures are simply two different routes to the same goal—obtaining a hearing on the merits of the writ petition—but each procedure has its particular advantages and disadvantages. In choosing which writ procedure to use, note that some superior courts have an expressed preference. For example, Amador and Imperial Counties rules state that noticed motion procedure should be used “whenever possible,” and Los Angeles and Sacramento Counties “strongly prefer” noticed motion. Local rules may even set out a wholly unique procedure for handling writ petitions. For example, the Contra Costa Ct R 7(G)(1)(a) requires that, in mandate proceedings, the petitioner appear ex parte to schedule a status conference at which the hearing date and briefing schedule will be set. To make things even trickier, if there are no local rules, the court may have unwritten practices as to how it handles writ proceedings. The noticed motion procedure is more common, particularly in larger jurisdictions, but there may be times when the alternative writ procedure is preferable. No need for ex parte appearance. At the time the writ petition is filed, a petitioner doesn’t have appear ex parte to obtain issuance of an alternative writ or file any other documentation in support of the petition (e.g., supporting memorandum, declarations). Saves the court time. The use of the noticed motion procedure means that the superior court usually spends no time on the writ proceeding until shortly before the noticed hearing on the merits, which can add up to significant savings of time and judicial resources. Hearing on merits likely. The court can deny an application for an alternative writ and dismiss the writ petition, but with the noticed motion procedure, the first time the court considers the matter is usually at the hearing on the merits of the petition, thus often ensuring a hearing on the merits. Immediate relief possible. If the court issues an alternative writ, the respondent may comply (e.g., by setting aside its decision or changing its action) rather than show cause why it should not be compelled to do so, thus cutting the time and expense of proceeding with challenging the decision or action. Early hearing. If the court issues an alternative writ, the writ will set dates for the return and the hearing on the merits of the writ petition, which may be sooner than if the noticed motion procedure were used. Similarly, an alternative writ might set a tight briefing schedule and a hearing date soon after the date for the return. A compressed timetable won’t be feasible or appropriate in many cases, but it can be very helpful when there’s a small record and the petition raises a straightforward legal question. One major risk to the alternative writ procedure: unlike the noticed motion procedure, in which the petitioner largely controls the timing of the hearing on the merits, the court might deny the application for an alternative writ and dismiss the writ petition (e.g., if the court determines that the petition is procedurally defective or meritless on its face). 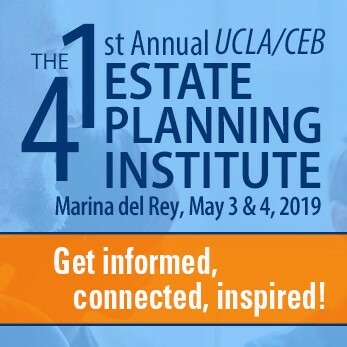 For everything you need to know about initiating a superior court writ proceeding, including drafting the writ petition, turn to CEB’s California Civil Writ Practice, chap 5. For step-by-step assistance, check out CEB’s Handling Civil Writs in the Courts of Appeal (Action Guide).